Below you’ll find an excerpt from the first chapter of book (or have it in a pdf). I hope you find it intriguing. Please do be in touch with comments or questions. Sharing is central to how we live today: it is what we do online; it is a model of economic behavior; and it is also a type of therapeutic talk. Sharing always comes with a warm glow around it, embodying positive values such as empathy, communication, fairness, openness and equality. 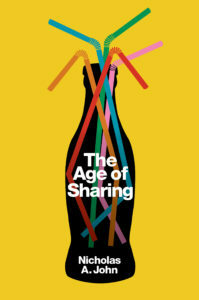 The Age of Sharing shows how and when sharing became caring, and explains how its meanings have changed in the digital age. Sharing, though, is also a word used to camouflage commercial or even exploitive relations, leading many to bemoan that ‘It isn’t really sharing’. Websites say they share data with advertisers, though actually they sell it, while parts of the sharing economy look much like rental services. But The Age of Sharing ultimately argues that practices described as sharing and critiques of those practices have common roots. Consequently, the powerful metaphor of sharing now constructs significant swathes of our social practices and provides the grounds for critiquing them; it is a mode of participation in the capitalist order and a way of resisting it. Taking in nineteenth century literature, Alcoholics Anonymous, the American counterculture, reality TV, hackers, Airbnb, Facebook and more, The Age of Sharingoffers a rich account of a complex contemporary keyword. The Age of Sharing will appeal to students and scholars of the Internet, digital culture, and linguistics. The word “sharing” has become so ubiquitous that we rarely stop to inquire into its meanings, let alone the ideological work it does in the diverse contexts of its use. John’s engaging historical analysis of “sharing” across three domains is essential reading, offering deep insight into the implicit values that shape our interactions and economies. The Age of Sharing is an insightful and careful excavation of the concept and practice of sharing both material and immaterial things. It broadly interrogates primates and early humans to the latest social media and “sharing” apps, for clues about our basic human nature. In late 2015 an informal after-work event was held in Manhattan’s Lower East Side for high-tech entrepreneurs in the sharing economy. One of the panelists was discussing different models of sharing. Some are based on sharing for free, she said, while others involve sharing for money. I waited for someone to raise their hand and challenge the speaker, but no one seemed put out by the sentence they had just heard. I had come across the idea of ‘sharing for money’ before. When I first encountered it I wondered whether it was not a simple contradiction in terms, like ‘selling for free’. Or perhaps this was a classic example of ideology at work through language, where a word with positive associations is deployed in order to conceal the true exploitative order of things. But pointing to the misuse or even wilful abuse of the word ‘sharing’ is too easy and fails to contend with its shifting senses and multiple layers of meaning. The fact that someone could say ‘sharing for money’ and be understood by her audience, and the retort that the exchange of money negates the possibility of sharing, both require historical and cultural contextualization. The following pages are my efforts to do just that. As a first step, we might observe how much sharing people seem to be doing these days. When we go online we share– photos, status updates, thoughts, memes, opinions, information. We are sharing offline too: witness the growth of the sharing economy. Powered by apps, people are sharing their spare rooms, cars, power drills, free time, expertise, couches, workspaces, dinner leftovers and pets. We are also sharing when we talk about our emotions, which we do more often and in more situations than any previous generation. Some people are taught how to communicate this way from a very young age: American preschoolers, for instance, sit in ‘sharing circles’, where they talk about their unique experiences while their classmates listen, awaiting their turn to share. At the same time, the use of the word ‘sharing’ to describe some of these activities is contested. For example, certain critics of the sharing economy say that ‘it isn’t really sharing, it’s renting/selling/trading’. Similarly, one might observe that Facebook does not share data with advertisers (though that is the language Facebook uses); rather, they sell it. Before engaging with these critical claims, though, I suggest that the very fact they are being made is indicative that something is at stake: the concept of sharing itself. This is the age of sharing, then, because ‘sharing’ stands for both the cutting edge of our digital media-saturated capitalist society and economy, including the way we interact online, and a critical position vis-à-vis this society and economy. Sharing is both supportive and subversive of hegemonic (digital) culture: supportive in that the more you share updates and pictures on social media, for instance, the wealthier those platforms become, and subversive in that the more you share actual stuff with others, the less everyone needs to buy. Moreover, some say that sharing – be that of the distributive or communicative kind – leads to true and deep human connections. In this book I will not be taking a stand on when the word ‘sharing’ is being used properly. In fact, my inquiries into sharing show that, as with many words, its ‘proper’ meanings and uses have changed quite drastically over time. For those who think that sharing is timeless, this discovery can be both surprising and perhaps a little destabilizing. In the following pages I show how the idea that sharing is the basis for authentic human relationships dates back no further than the 1930s, when city life, and especially advertising, were raising profound questions about authentic personhood. Moreover, the altruistic sense of sharing, or ‘sharing as caring’, only really took root from the 1970s. By tracing changes in the meanings of ‘sharing’ – and especially the entrenchment in the mid2000s of its sense as what we do online – this book shows that the prevailing uses of the term today, and the criticisms of these uses, have common roots in a sense of self moulded by capitalism. Thus, while remaining agnostic as to the ‘proper’ way to use the word ‘sharing’, I am nonetheless alert both to the role played by powerful social media companies in disseminating one of its newer meanings, and to the interest these companies have in being associated with the concept’s prosocial connotations. Sharing is a very emotive concept: to start, it is deeply associated with childhood, and learning to ‘share nicely’ is one of the most basic skills preschoolers are expected to assimilate; second, and relatedly, sharing is always good – you cannot share non-nicely. Sharing, we are told, is caring, and, as such, has a warm glow around it. This warm glow also invites an ironic stance, as expressed in Figure 1.1: calling something sharing (in pretty colours to boot) can conceal its immorality; if we call it sharing, we might be able to get away with anything. This cartoon thus neatly captures a feature of sharing that is key to this book: it is both a practice or set of practices with ethical dimensions, and at the same time a word with ethical connotations. This book aims to explore them both. Three spheres of sharing form the focal points of this book: sharing as the constitutive activity of social media; sharing as a model for economic behaviour; and sharing as a category of speech. In this way, the book has something to say about our technologically mediated social lives; about our economic lives as producers and consumers; and about our emotional, interpersonal lives. At first glance, these spheres are quite distinct, and there would not seem to be a prima facie reason for bringing them together. Is it enough that the word ‘sharing’ is associated with each of them? I argue that it is, because ‘sharing’ is an important part of how these practices are constructed and conceptualized; it is a metaphor in terms of which different spheres of sharing construct one another and themselves. When we talk about sharing we implicitly or explicitly engage with a set of values. Later on, I shall demonstrate and elaborate on the ways that each of the three spheres of sharing discussed here enacts certain values. For now, suffice it to say that when we talk about sharing we are talking about purportedly prosocial behaviours that promote, or are claimed to promote, greater openness, trust and understanding between people. Hence, Mark Zuckerberg, founder and CEO of Facebook, can say that sharing (on Facebook) makes the world a more connected place; sharing economy evangelists promote sharing as a remedy for the ills of selfish and destructive hyper-capitalism; and [sociolinguists define] the speech category of sharing as talk with a ‘relational embrace’. It is the contention of this book that sharing, both as a broad category of social practices, and as the word used to describe a wide range of practices, is on the rise. Ours is the age of sharing. The values just mentioned [honesty, openness, mutuality, caring, equality, trust and fairness] are part of the promise of sharing today. However, ‘sharing’ has not always been associated with them. In Chapter 2, I ask when sharing became caring and undertake a diachronic analysis of ‘sharing’. The analysis is based on around 4,500 instances of the word ‘sharing’ in English-language texts spanning over two centuries and enables me to locate the gradual entrance into ‘sharing’ of the values associated with it today. With Chapter 3, I start to engage with the first of the three spheres of sharing and discuss sharing in relation to the internet and social media. My objective here is not to ask why we share and what we share, but rather to critically examine the prominence of the word ‘sharing’ in this context. For instance, I show how the word ‘sharing’ has been applied retroactively to the early internet. 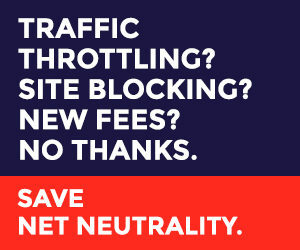 Scholars and other commentators have written about the prosociality of the internet; some have said that the internet is, and has always been, about sharing. However, texts about the internet from the 1990s and early 2000s do not actually refer to ‘sharing’, suggesting that the explicit affiliation between sharing and the internet was made more recently. An analysis of the homepages of forty-four SNSs between the years 2000 and 2010 confirms this, showing the years 2005–7 as the time when ‘sharing’ became the sine qua non for online participation, pointing to the centrality of powerful media organizations in pushing the word to its current prominence. One exception to this is the field of hacking, where sharing has always been talked of as being a key value and practice. This, of course, reinforces the idea that sharing has specifically digital connotations today, a point that will recur throughout. Chapter 4 is about sharing economies. As with online sharing, the focus here is on the work that the word ‘sharing’ does in this context. By talking about sharing economies I cast my net wider than what is known today as ‘the sharing economy’. In particular, the chapter discusses sharing economies of production – as instantiated by Wikipedia and open source software, for instance – which is where the term was used before it was applied to acts of consumption. Drawing on an analysis of newspaper articles about collaborative consumption, I show how this part of the sharing economy has been discursively constructed as technological and digital. This is the field where we are perhaps most likely to hear people saying that ‘it isn’t really sharing’ on the grounds that money is often involved. However, I do not add my voice to that particular chorus, preferring instead to inspect the argument quite closely (no one says, for instance, that shares (as in ‘stocks and . . . ’) should not be termed thus because they involve money), and asking whether the adoption of the ‘sharing’ metaphor in this regard nonetheless teaches us something. Following that, Chapter 5 offers an exploration of sharing as a category of talk. Here, I locate the emergence of sharing as a type of talk in the public confessional practices of the Oxford Group in the 1930s. The Oxford Group was a Christian movement that practised the confessing of sins in a group setting, terming this practice ‘sharing’. The Oxford Group was the forerunner of Alcoholics Anonymous and as such, I argue, holds an important place in the emergence of our contemporary therapeutic culture. In this chapter, I track ‘sharing’ from the Oxford Group through reality TV to social media. In all of these cultural locales we find similar (but not necessarily identical) assumptions about the modern self, and especially assumptions concerning authenticity and the value of making our inner selves public, or at the very least known to another person. There is an important sense, then, in which sharing, as a type of communication, is constitutive of our intimate (and other) relationships in that it reflects and constructs expectations for honest and authentic communication between equals. Chapter 6 is an exercise in implementing what the previous chapters tell us about sharing. The object of the exercise is file sharing. The chapter opens with a discussion of the term ‘file sharing’ and the debates surrounding it (‘it’s not really sharing’ makes another unsurprising appearance). This discussion is supplemented with an analysis of over 450 posts to file-sharing forum debates about the ethics of a certain form of file sharing known as ‘torrenting’. I show how the presence of the metaphor of ‘sharing’ in the debates shapes some of the positions adopted in it. Or, put differently, I show how, for at least some of the file sharers engaged in interactions over the best (most ethical, most efficient) way to share files, ‘sharing’ really is a metaphor they live by.